Daystar Doors LLC is a licensed and insured company which was established in providing quality garage door and opener repairs, service, plus expert new installations at competitive and affordable pricing. The founder of the company, Mr. Oladayo Oyeniyi started this company based on the fact that he has mastered the art of installations due to his technical experience background. This company was built by hands-on experience learnt by the founder who can be known for his craft of being “jack of all trades”, taking up major repairs on his car such as fixing the water pump, brake and rotor replacements just to mention a few. When it comes to complex soldering and part replacement on mobile phones and laptops PCB board, he is a beast! Not to mention he is a certified residential door system technician which it’s a plus to the company’s growth. Friends and family calls him “MacGyver” because he tends to think outside of the box and also likes challenging himself to become a problem solver at all costs. 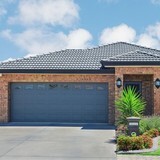 Daystar Doors was built on good business ethics and in-depth knowledge on garage door installations/repairs, which focuses on excellent customer satisfaction and a fast-pace but friendly installation/repair experience. Daystar Doors LLC is a company of one of a kind, family-oriented and based on the reviews from customers has kept the company moving and busy. With each and every one of you we will be able to take this company to a greater height together as a family because this company is based on family, great supports from family, friends and customers thus far. Now tell me what are you waiting for? Make that enquiry today! Get that quote today and join the Daystar Doors family, and be part of our success story. 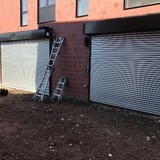 Garage doors and gates are valuable assets to an Elkridge, MD home’s curb appeal, security system and storage needs, so when they need to be repaired, it’s always smart to hire a local garage door repair professional. A Elkridge, MD garage door maintenance pro can fix a wide range of components, including exterior damage, parts, openers and weather sealing. 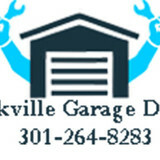 What types of garage door service tasks do contractors in Elkridge, MD provide? 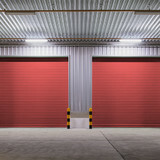 A damaged garage door can lead to increased security risk, ruined belongings and an unpleasant exterior, so look for Elkridge, MD repair professionals who provide same-day or emergency services if the damage is extensive and poses a potential health and safety risk. 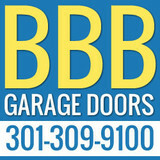 Find Elkridge, MD garage door repair professionals on Houzz. Narrow your search for garage door repair professionals by selecting the nearest city or zip code. Look at portfolio and product photos, and read reviews to find the best garage door contractors in Elkridge, MD for your home.